* Group size: max. 20 persons. * Daily available: select your date here. * Hosted: 2 and 4 pm. * Price: 17.50 euro per person. Recommended by Lonely Planet, The Telegraph, Fox News, Huffington Post, Yahoo & BNN. * Group size: Maximum 4 persons. 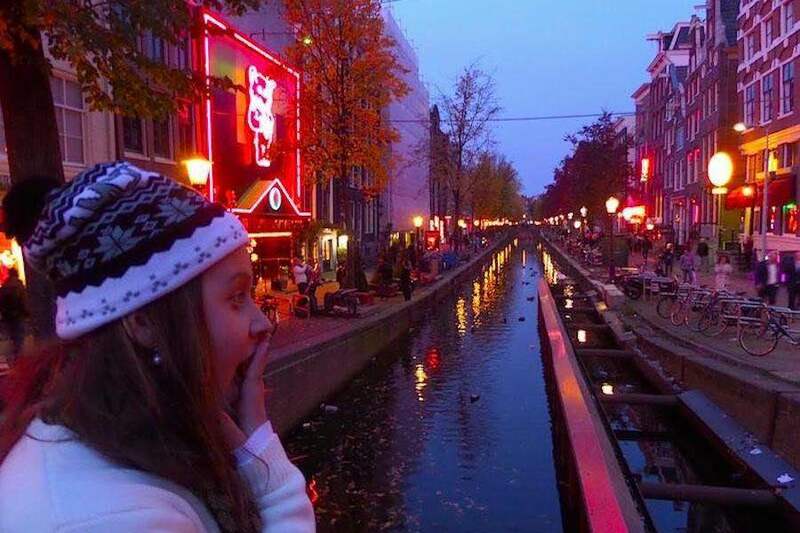 From the 1st of April 2019 only small groups tours are allowed in the Red Light District after 7 pm. This new law applies to all tour operators. * Hosted: 7 & 9 pm. * Price: 35 euro per person. Recommended by Lonely Planet, Fox News, Yahoo, The Telegraph, Huffington Post & BNN. * Next availability: 20th of April. * Further availability: more tour dates here. * Price: 30 euro per person. * Language: English (Dutch via email request only). * Attendees: min. 10 persons. * Group size: max. 18 persons. Recommended by Lonely Planet, The Telegraph, Fox News, World Travel Guide, Yahoo & the Huffington Post. – Visit a former brothel, located in a 17th century monumental canal house. – Sit behind a red lit window yourself. – See the different types of working rooms. 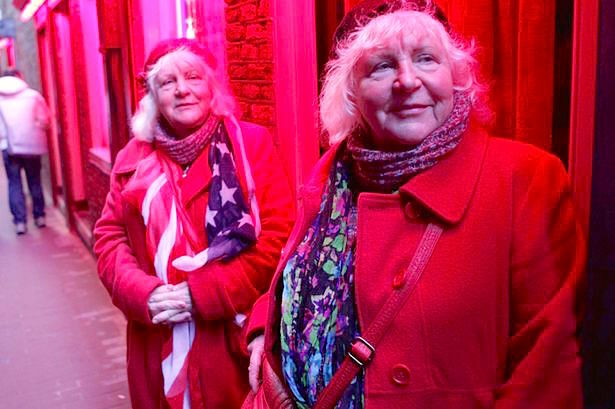 – Learn about the real lives of Amsterdam’s prostitutes. – Hear the secrets of prostitutes. – Read the secret confessions left behind by visitors. 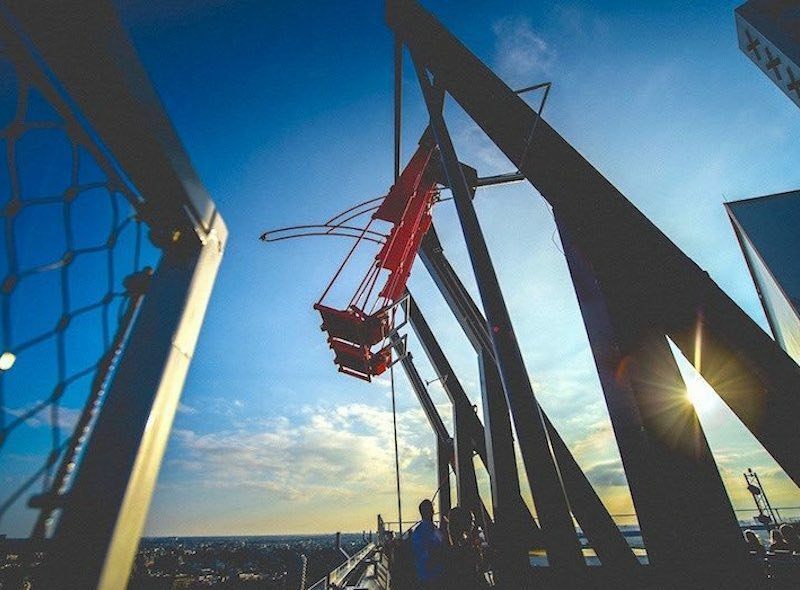 – Audio tour included in ticket price. * Museum Of Prostitution age limit: None. * Museum Of Prostitution opening hours: 10 am till 12 pm. * Museum Of Prostitution entrance fee: 10,50 euro per person. 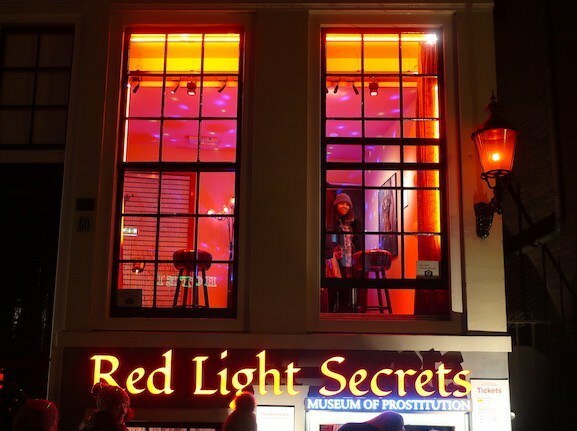 Buy your Red Light Secrets Museum Amsterdam tickets via the book now button. 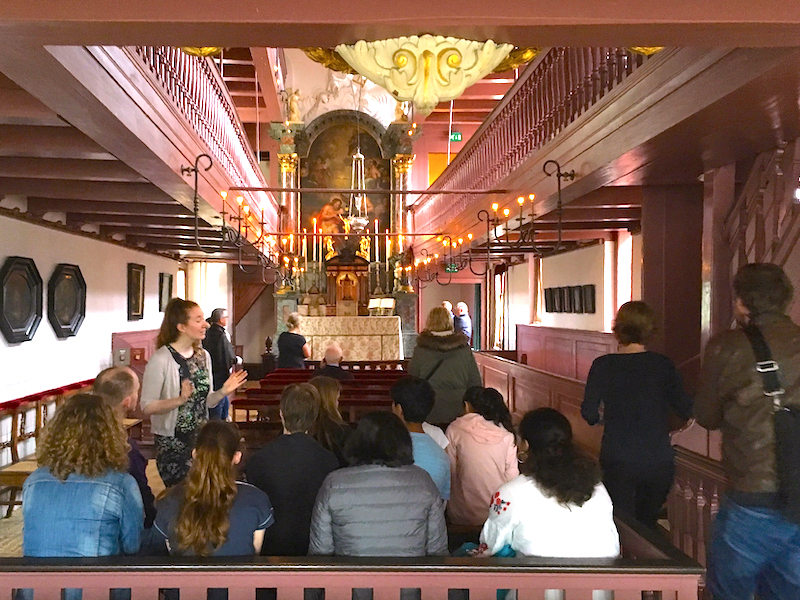 – Insights into 17th century European religious struggles. – Learn about Dutch tolerance. 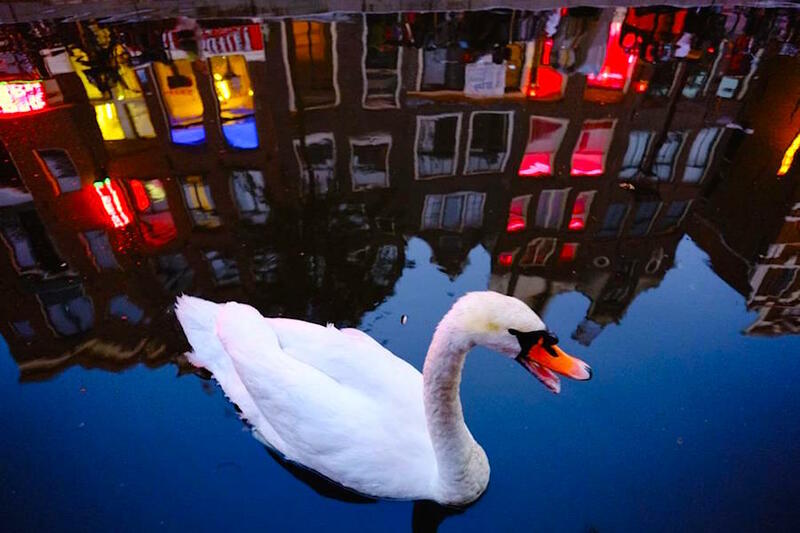 – Experience a 17th century canal house. – Climb the narrow steps, and see ancient decorated rooms. – See the beautiful hidden church. 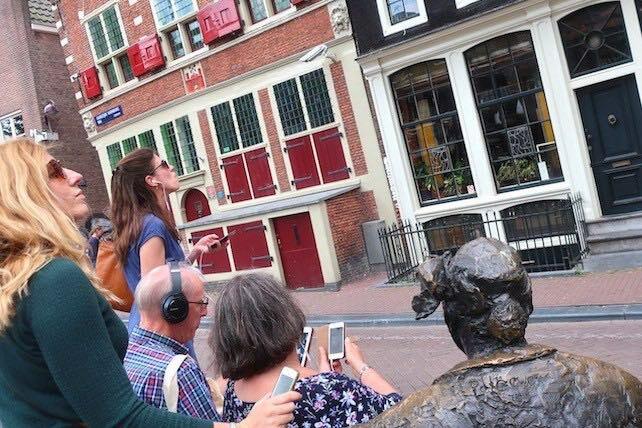 – Great audio tour included in ticket price. from 1:00 pm till 6:00 pm. * Next Availability: available everyday. * Price: 12.50 euro per person. – Unforgettable experience. Highly recommended! – Ask anything to an Amsterdam prostitute. Yes, anything!